Grizzly bears are not for Alberta to kill, said conservationist David Mayhood, in a passionate plea to the province not to re-instate the historic hunt. "Those bears are not Alberta’s to destroy; they continue to exist because of management actions in Montana, British Columbia and Waterton Lakes National Park," said Mahood on behalf of the Timberwolf Wilderness Society, in a letter published by the Pincher Creek Voice. "Grizzlies continue to be at risk throughout Alberta, including the province’s southwest, and should not be hunted." The annual grizzly bear hunt in Alberta was halted in 2006. Calls by conservationist to keep it shelved were raised after ranchers called for the practice to be reinstated, citing increased bear-human conflict, the Calgary Herald reports. “With the current situation, it’s really hard for the Fish and Wildlife officers to deal with them,” Tony Bruder, a rancher near Twin Butte in southern Alberta, told the Herald. “They can’t just put them down. But conservationists say the grizzly population remains too fragile to sustain a hunt. 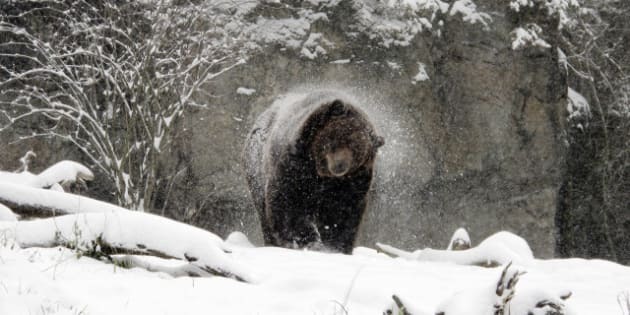 Estimates put the grizzly population at approximately 1,000 but those numbers are those of an interconnected pool that includes western Alberta, B.C. and Montana, according to the Parkland Institute. However, numbers attained in 2007, following three years of research, put the Alberta grizzly bear population at no more than 500. According to a study for the Canadian Parks And Wilderness Society by Jeff Gailus and titled A Grizzly Challenge, in order for the population to survive it requires a minimum of 500 to 700 members.